Acquiring and managing luggage carts can be an expensive proposition, but Lexington Blue Grass Airport (LEX) and Harrisburg International (MDT) lighten the load by rolling equipment costs into their parking contracts. 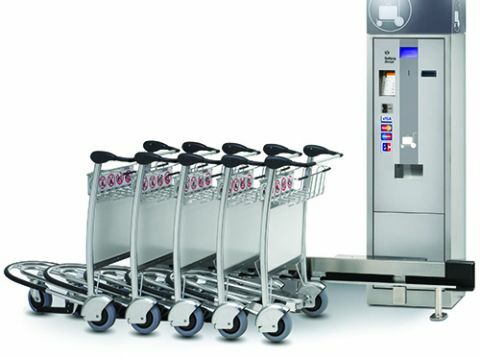 In each case, Republic Parking System purchased luggage carts for the airport, and includes the equipment costs in its monthly charges for managing the cart concession. Because the costs are operating expenses for the airport, it avoids the bidding and bonding requirements associated with capital expenditures. After a preestablished concession period, Republic transfers ownership of the carts to the airport. Timothy Edwards, executive director at MDT, reports that the new arrangement is working well at his facility. When the airport’s previous parking contract expired last year, MDT issued a request for proposals and selected Republic. Under the new contract, the parking operator agreed to supply 40 new luggage carts and two new dispensing systems within six months. That process was completed this March. The airport placed one of the new cart stations in its parking garage and the other in Baggage Claim. Both dispensing systems accept cash and credit cards. Sever and his staff are considering the option of reconfiguring the dispensers to accept Apple Pay, as well as cash and credit cards. “Younger travelers are using their cellphones for purchases, so we will probably add it as an additional customer service,” he explains. Don Barrett, a senior vice president for Republic, says that luggage cart concessions make sense for the company. Barrett oversees 34 of the 76 parking garages that the firm operates at U.S. airports, and feels that every airport deal is a bit different. At LEX, Republic paid $36,000 for the current system, and the airport agreed to pay a monthly fee to eventually cover that cost. That system had limitations, and during the most recent request for proposals process the airport wanted to update the luggage carts. With the new system the revenue for the luggage carts is part of the overall parking revenue from which Republic receives a percentage. • The contractor purchases the carts, vending units, software and other needed infrastructure. The airport leases the equipment over a five-year period, covering both the initial outlay for carts and a monthly service fee. 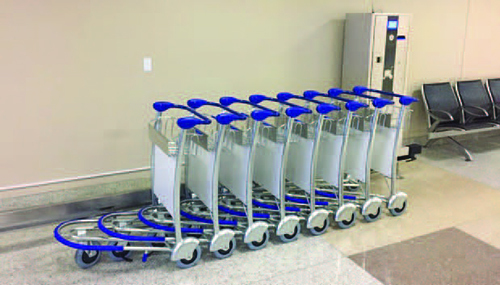 • At the end of the initial contract, the carts become the property of the airport. • All revenue generated from domestic cart rental accrues to the airport. • Credit card sales are immediately deposited to the airport’s account. According to Thompson, most airports that follow this model should be able to recover their investment in about 36 months—and own the equipment after five years. 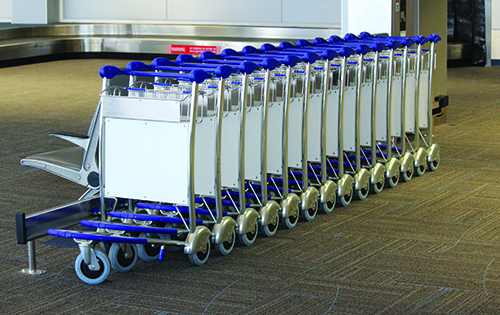 Since high-quality luggage carts typically last 20 years with normal use and maintenance, such airports can use them for many more years at minimal cost. Moreover, Thompson notes that similar equipment arrangements could be struck with other proven providers, such as janitorial services, security companies, aircraft cabin cleaners, shuttle bus operators, aircraft caterers, contract baggage handlers and rental car companies.